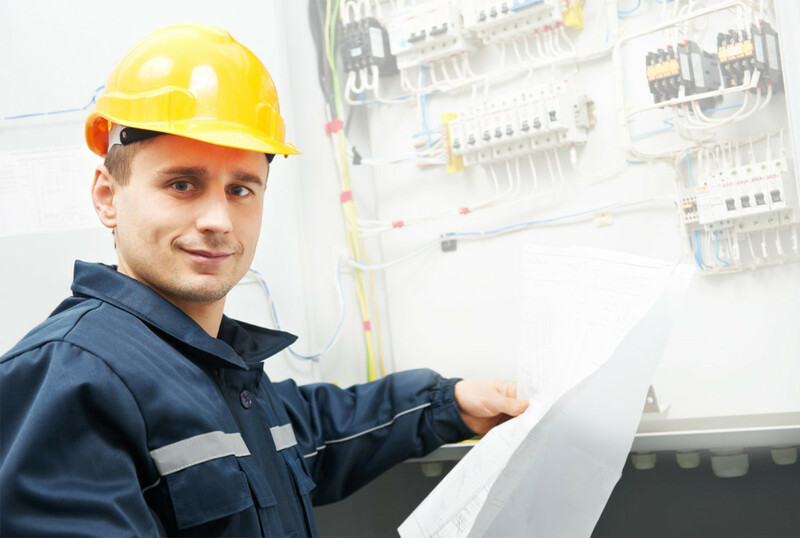 The ElectricMan Team Can Maintain Your Electrical Systems To Ensure Functionality & Longevity. Regular electrical maintenance for your appliances, panels, and electrical systems can ensure the longevity and that they are operating at optimum efficiency. Electrical panels, wiring, appliances and surge protectors require maintenance after years of use or external damages. Proper maintenance services keep your electrical systems in good shape and avoid large commercial electrical repair or replacement costs. Electrical contractors can inspect your property and maintain your commercial and residential electrical systems. The professional electrical contractors at Electric Man have the equipment and knowledge to safely and efficiently handle your electrical maintenance needs. Our team provides 24-hour electrical maintenance services, contact us today to schedule a consultation. The first step before conducting any electrical maintenance project is to inspect the current electrical system for signs of damage, wear & tear, or warning signs. The inspection process is key to understanding which areas require maintenance, repairs or replacement. An electrical efficiency inspection can find how energy efficient your property as well as ways to improve its relative efficiency rating. Electrical inspections require high levels of industry knowledge to accomplish efficiently and effectively. A professional electrical inspection can help your electrical system last while providing knowledge on safety and efficiency. Our team is here to help you with your electrical service and maintenance needs 24/7. Our emergency services are here to provide you with the electrical work you need when you need it. If you live in Calgary and in need of electrical work contact ElectricMan we promise to uphold the highest level of professionalism while we repair and maintain your residential or commercial electrical system. Circuit breakers help govern the voltage and energy of an electrical system. These breakers direct the flow of electricity through your property. Breakers can wear down, overheat or become damaged, which can result in serious electrical issues. Make sure these breakers stay in good condition with professional electrical maintenance services. Wiring can become damaged in floods, fires, old age or because of poor quality or poor installation. Wiring can also become inefficient or obsolete, no longer providing your home or business with the power or efficiency you need. To make sure that your electrical wiring does not become damaged or obsolete, consider professional electrical wiring maintenance services. Electrical wiring in homes and businesses represent complex systems of running wires and electricity which can be dangerous, trust your wiring system with a professional. Appliances run on electricity, home functions such as lighting systems, fridges, commercial appliances, luxury appliances, and entertainment systems require occasional maintenance to ensure they last and are working properly. Contact electric Man anytime with your Calgary electrical appliance maintenance needs! To ensure that your electrical maintenance needs are handled in a timely and efficient manner, contact ElectricMan. We provide 24/7 electrical maintenance services.